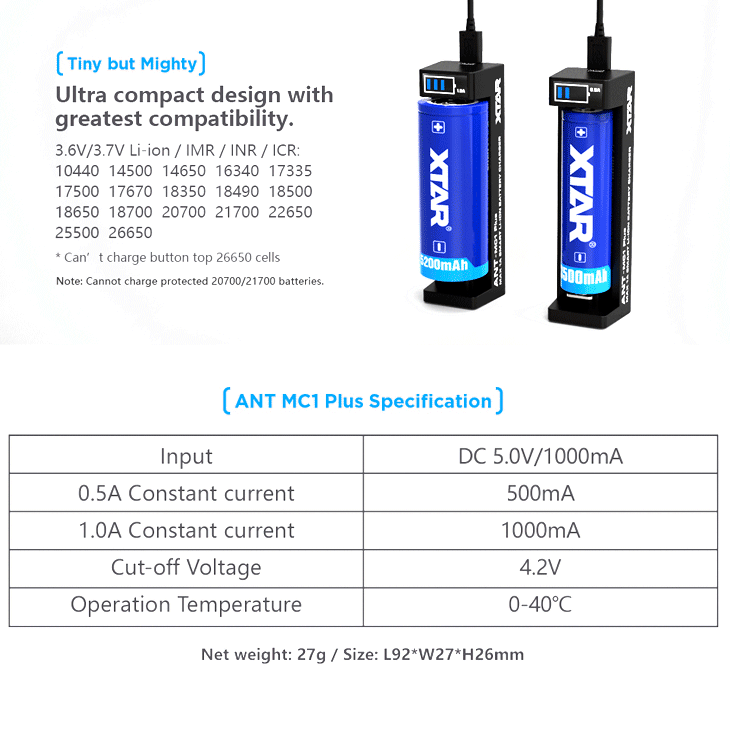 The new updated version of the MC1 Plus from XTAR, a power house in a small package, charges at 1A or .5A depending on how low the battery is when put on the charger, even if the battery is at 0V this charger will reinvigorate your batteries. 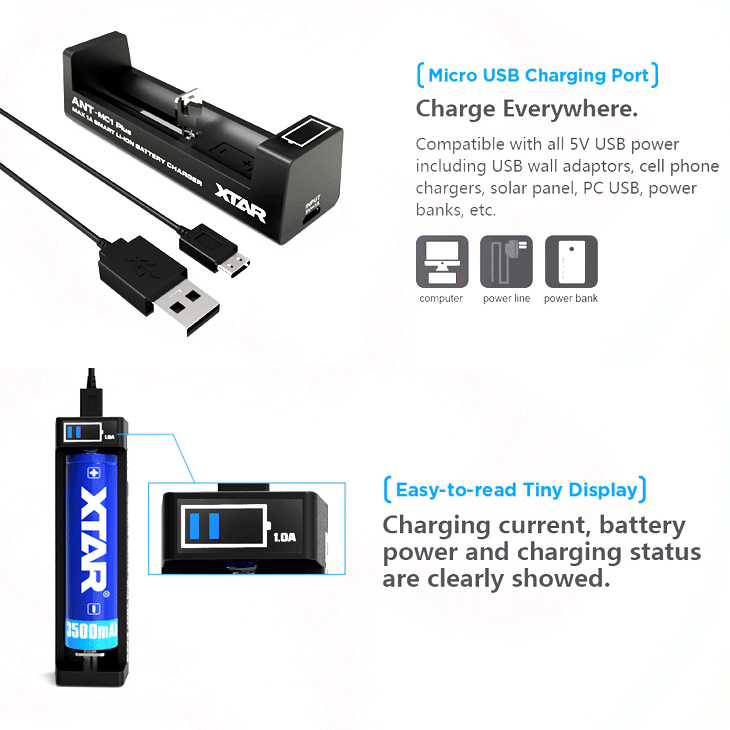 With an LED display you will never have to guess how much longer your batteries have till fully charged, connector is a micro usb, which everyone now a days has these just laying around so you will not be without a cable to power this charger. 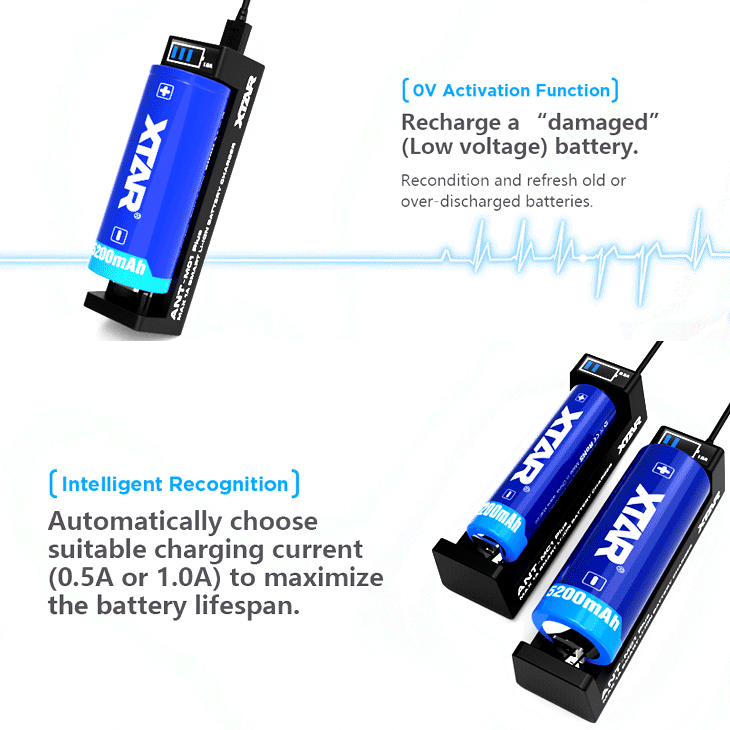 30 Day Warranty, No Returns.